Hi Friends! Welcome back to the blog! 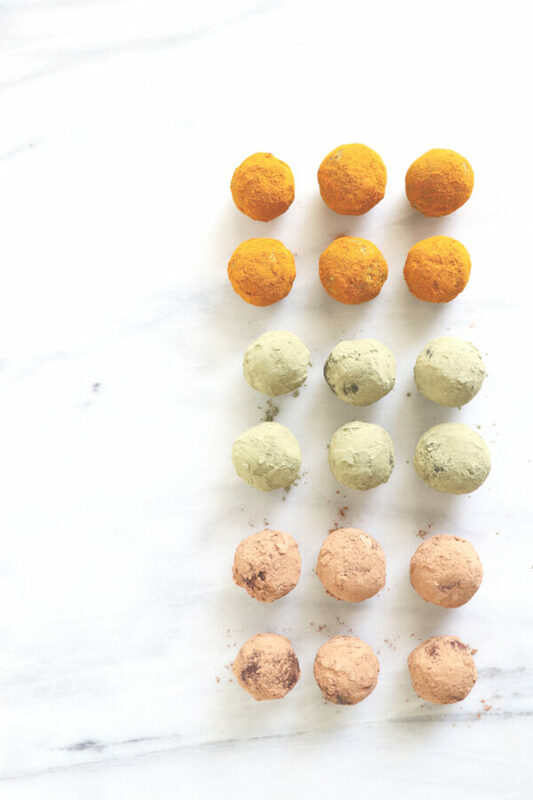 Today I’m sharing how to make Energy Bites 3 different ways – Matcha Hemp, Cashew Cacao and Turmeric Ginger. 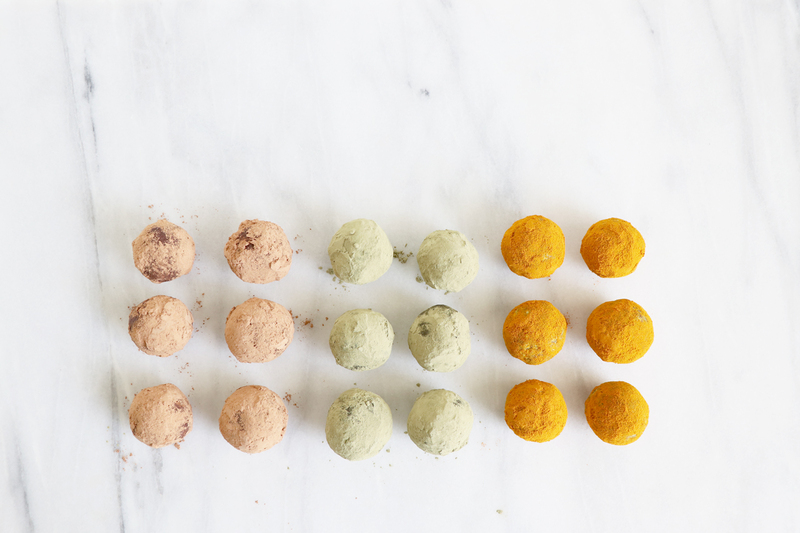 Each energy bite is packed with protein, fiber and healthy fats (thanks to the cashews and hemp hearts), naturally energizing carbohydrates (thanks to the dates) and loaded with anti-oxidant and anti-inflammatory properties from the various add-ins such as cacao, turmeric, ginger and matcha! As an ambassador for Manitoba Harvest, I love finding new ways to incorporate Hemp Hearts into my day! These snacks (which are also great little desserts!) are my current go-to. I think you will love them too! Add all ingredients in food processor and pulse until you create a sticky batter. Roll in cacao powder before enjoying! Keep stored in fridge or freezer. If they are stored in the freezer let thaw for a few minutes before eating. Roll in Matcha powder before enjoying! Roll in turmeric and / or ginger powder before enjoying! Disclosure: Healthy Grocery Girl is an Ambassador for Manitoba Harvest. Thank you to Manitoba Harvest for sponsoring this post! Sponsors make it possible for the HGG Team to create blog posts & videos that are free for our community to enjoy.